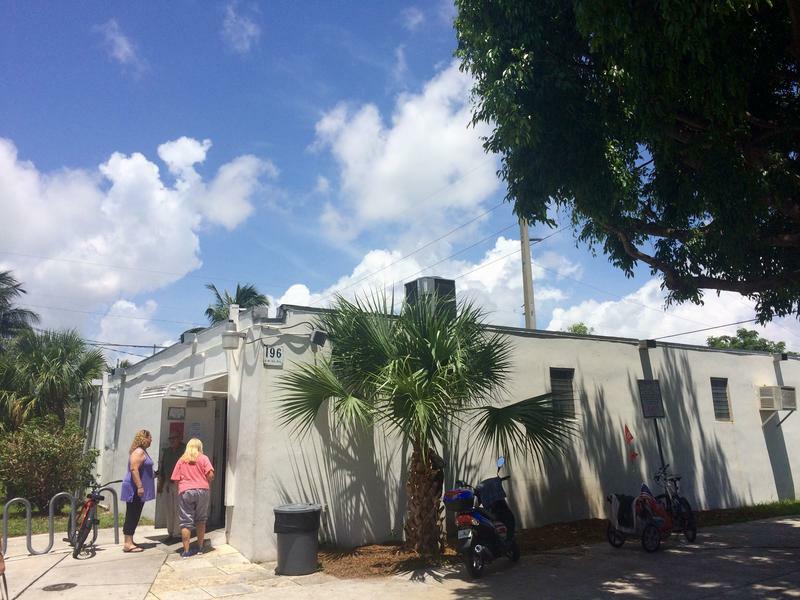 The Caring Kitchen has operated out of its current location for about 20 years. The kitchen serves 14 meals each week in-house. 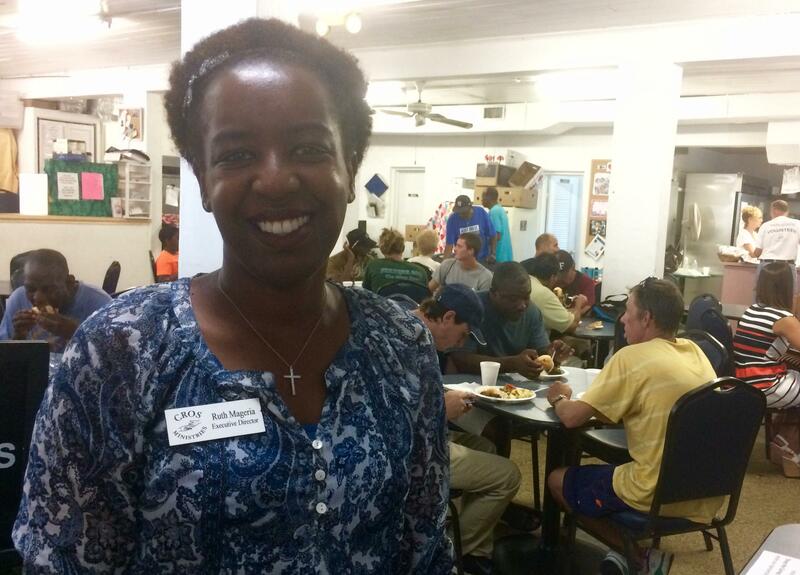 Ruth Mageria has directed CROS Ministries for about four years. 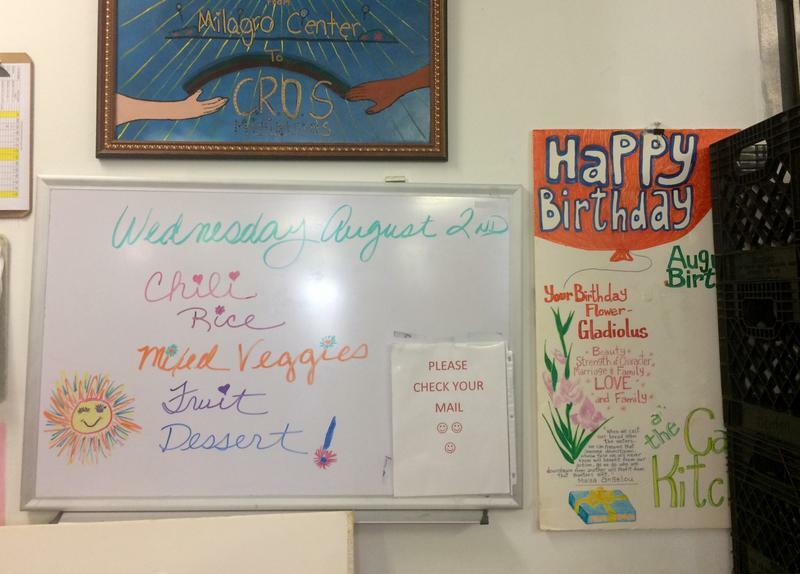 "We have outgrown our services," admits Ruth Mageria, who directs Christians Reaching Out Society (CROS) Ministries, the organization that runs the Caring Kitchen. "The building is not very big, so we outgrew our space." Mageria says the Caring Kitchen has been working with the city to find a new location for about two years. They seriously considered the possibility historic rail depot, but that option fell through last spring. The Caring Kitchen serves meals in-house 14 times per week: they provide breakfast and lunch every day and dinner 4 times a week. The small parking lot fills quickly, and people gather in front of the building before and after meals. Many of them eat there on a daily basis. "I'm already stressed because I'm not working at the time so I'm stressing trying to pay my bills. So this place is a big help for me," said Milton Miller, 48. He's between construction jobs, he says, and he's been eating at the Caring Kitchen for about three years. CROS Ministries is looking to partner with local churches while they transition the kitchen out of its current location. That may mean reducing the number of meals they're able to serve. "We're moving. We know we need to move, and we understand the neighbors and the issues that the neighbors are bringing up," Mageria said. "But all we're asking is to give us time to be able to create some of those relationships." She was hoping to be able to serve meals from the current space at least through the holidays. Neighbors have voiced concerns to the commission that the facility's size and location are inappropriate for the number of people it serves. 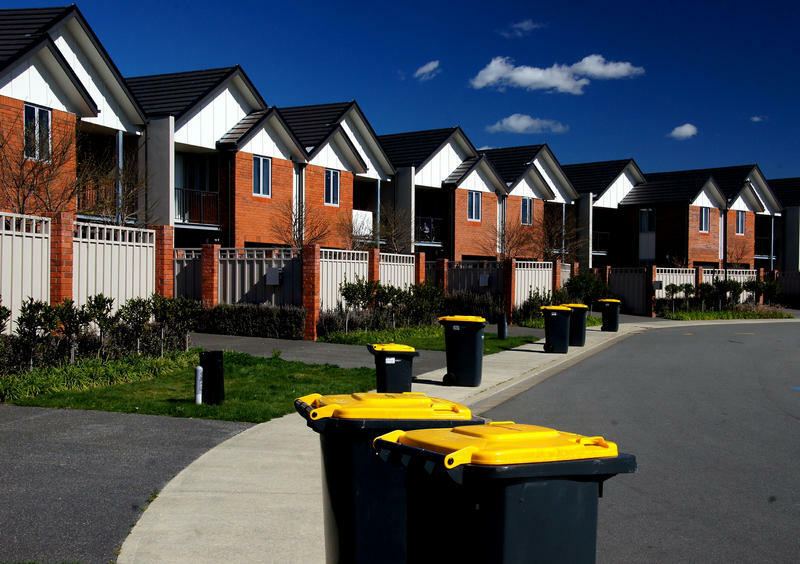 Street parking, loitering, crime and trash are among community concerns. 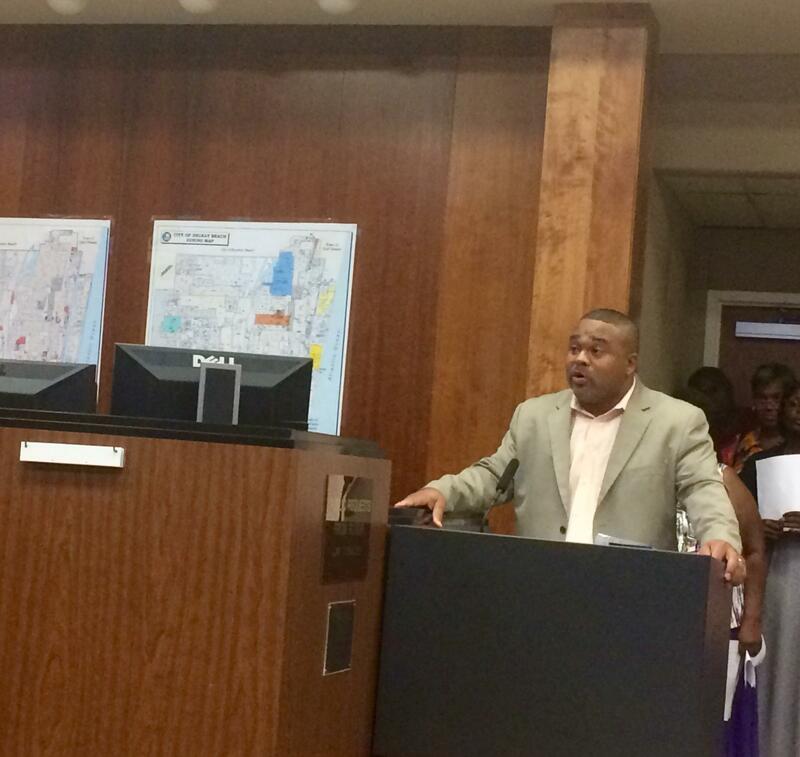 Reggie Cox was one of more than a dozen people who addressed the City Commission about the Caring Kitchen. "I'm just glad that we got some dates, so we can get this thing wrapped up finally," said Reggie Cox, president of the Northwest Neighborhood Alliance, after the commission reached a decision. "It's been 20 years." During the commission meeting, Assistant Chief of the Delray Beach Police Department Javaro Sims said police frequently respond to the area. Issues include trespassing and drunken pedestrians. Mayor Cary Glickstein acknowledged that many of the people who live near the soup kitchen are African American homeowners, and that the city has a history of prioritizing white neighborhoods. "I can't in good conscience ask this neighborhood to do something that I myself would not be willing to do," he said. Delray Beach city officials have been hearing complaints from residents for years: sober homes are crowding us out. The sober living facilities are intended to integrate recovering drug and alcohol users back into community life. But a lack of oversight coupled with widespread corruption has led to a proliferation of sober homes in some neighborhoods. A recent report estimated there are 247 sober homes operating in the city.